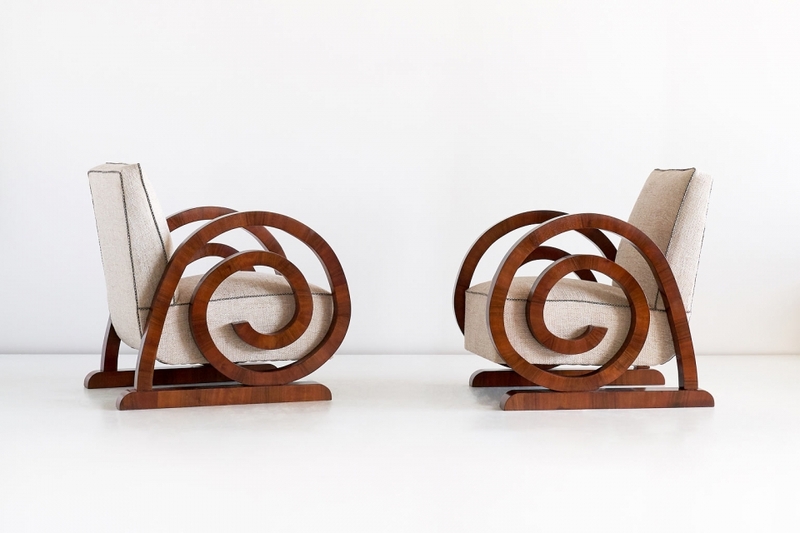 This extraordinary pair of Art Deco armchairs was produced in France in the 1930s. 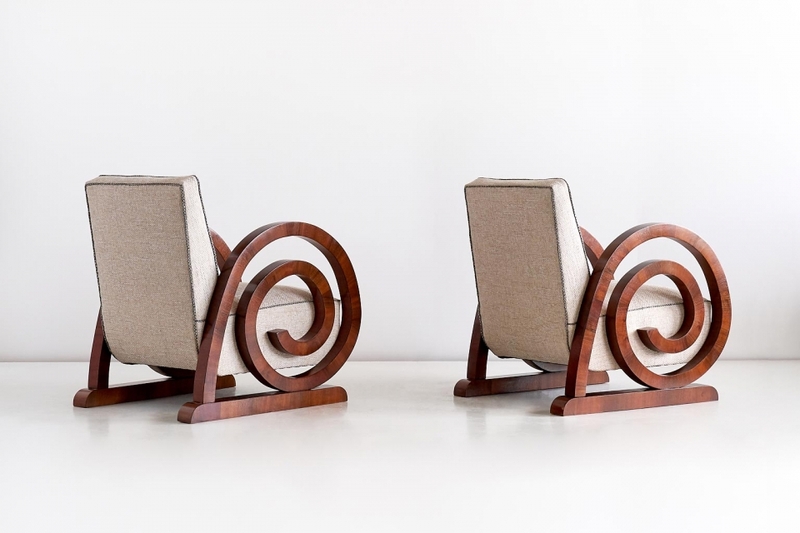 The dramatically curved arms are a modern interpretation of the “escargot”- or shell-motif that was prevalent in earlier French furniture periods. The masterly application of the walnut veneer illustrates the cabinetmaker’s sophisticated level of craftsmanship that went into the making of these chairs. The wood grain is particularly striking. The construction of the frame and the seemingly floating upholstered seats give the chairs a sculptural presence. The comfortable chairs have been recovered in an ivory bouclé wool fabric with contrasting trim detail.